This amazing TV from Sony will make game lovers all around the world applaud its performance. Its processing engine (X-Reality PRO), and the 120Hz refresh rate are Sony KDL50W800B’s star features. 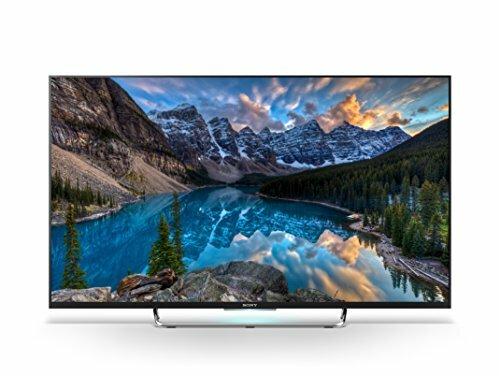 Users get top quality picture related with the Sony brand, and amazing native refresh rates for gaming, fast action, and live sports programming. On this one, Sony chose to go with active 3D technology. This 50-incher combines clear, crispy-detailed pictures with clear audio enhancing dialogue and movie sound. Each scene in anything you watch – TV shows, HD movies, YouTube clips, and sports – is presented with amazing clarity, color, and detail. If you are into gaming, Motion flow XR 480 technology delivers lifelike motion that will provide you with that at-the-game sensation. This TV looks classy and elegant with brushed aluminum finish that adds a final touch of its design around the edges. As we already mentioned, this TV is equipped with great processing engine – Sony’s X-Reality PRO. This really delivers top picture quality on the TV’s display in terms of clarity, detail, color reproduction, and upconversion. Color performance on Sony KDL50W800B is very realistic and accurate with pretty good saturation levels. Only the 4K televisions in this lineup boast a stronger picture processing engine. When calibrations are made, the image quality on this TV is really good from both standard and HD definition sources. Even though the light-flow through the TV’s screen isn’t quite as pronounced, accuracy isn’t a problem for this TV. Light output as well as shadow detail and black levels are really good. One downside with this TV are saturation and contrast at larger side angles, as they degrade rapidly at 20 to 25 degrees off center, and they get worse the further you go to the side. However, this is an issue with almost every matte-screen LCD TV. You will see a really good accurate and colorful picture on front and center, but you will be disappointed from the sides. In case you are searching for that certain TV that lets you completely and truly enjoy your favorite video games, you definitely found it. Sony KDL50W800B’s input lag (24.3 ms) is one of the best out there. It is seriously great. Motion blur is pretty solid too. In order to decrease the TV’s total blur amount, it is equipped with backlight strobbing – a special mode that performs really well. Motion blur is reduced without increasing input lag. Sony Entertainment Network’s new layout contains category separations for Apps, Movies, Music, and Albums. It is easy to use and very attractive layout. Its biggest plus is the fact that it operates way better than 2013’s Sony Entertainment Network. Also, the Apps selections are more fun and interesting than in the past. Of course, all of the standard and most popular apps are here: Facebook, Twitter, Netflix, Hulu Plus, Amazon Instant Video, Crackle, and more. You will also discover your fill of sports and news apps.